One fond memory I have growing up was the pleasure of grabbing stale goods in a knotted up bread bag and running down to the local park. This park was prettily bordered by a small river, and was home to a flock of ducks--I believe Mallards. As soon as I got close enough, I would gingerly step in heel-toe fashion, so as not to scare my timid friends. Then, I'd toss a few morsels down and take a few steps closer. But it was never close enough. 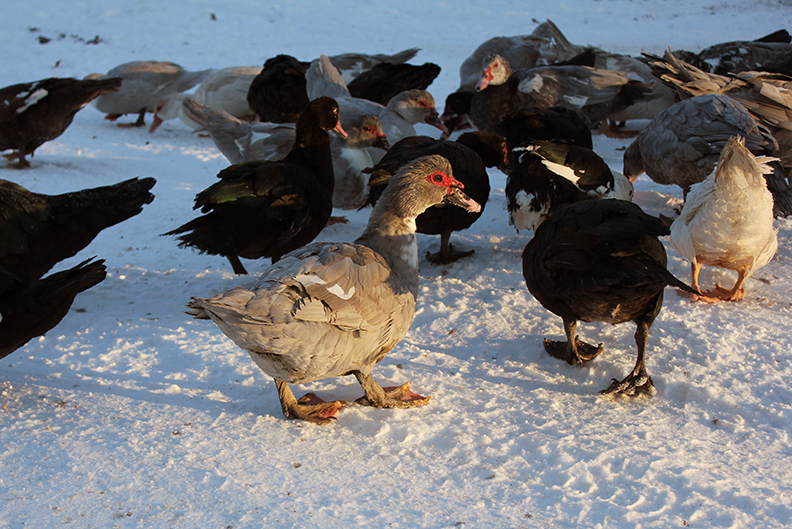 I longed to be able to see their pretty sheen and squat next to them, and perhaps have them eat out of my hand. Who would have thought I could enjoy 48 of these beautiful creatures who have no such reservations? Such a blessing. 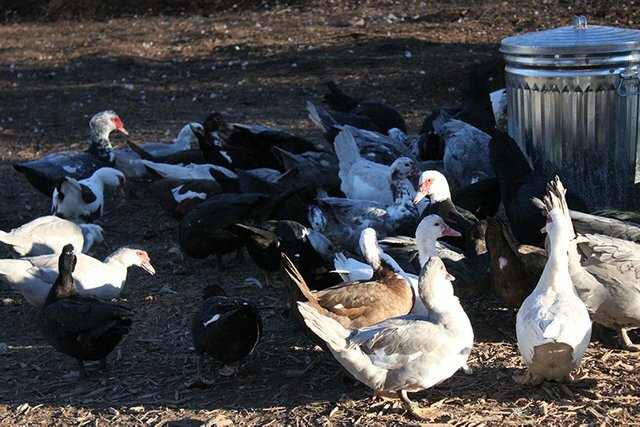 They gladly come right up to our silver trash can for goodies, and follow me around the yard. I just love looking at their amazing variety of colors. Even the males, with their bubbly red head features seem noble. Just look at the contrast between this male's softly glowing sheen and tough and rugged mask. This is also my entry for this week's homestead photography contest hosted by @knowledge-seeker. 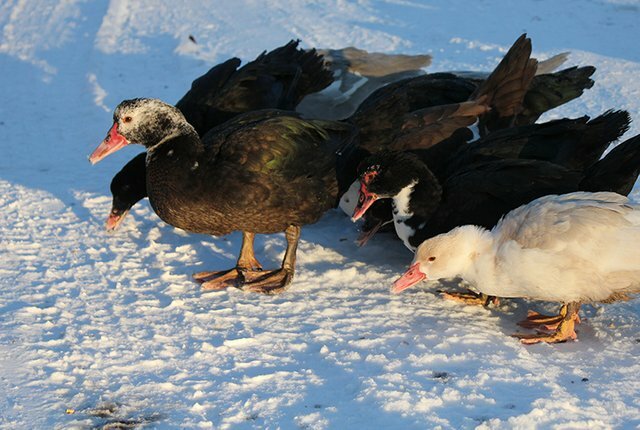 Rain or shine, warmth or chilly snow, our flock of Muscovy ducks are eager for their daily treats. 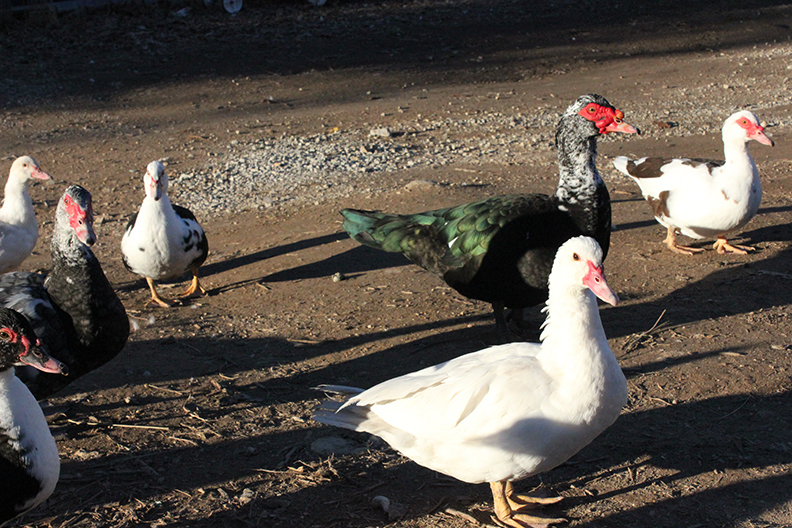 Muscovy ducks was the favourite duck to raise on the farm. 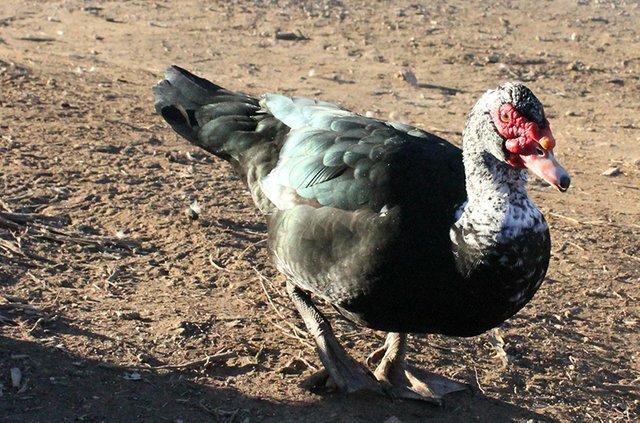 Loved seeing the Muscovy's chase and eat flies. They are great for pest control and love slugs. 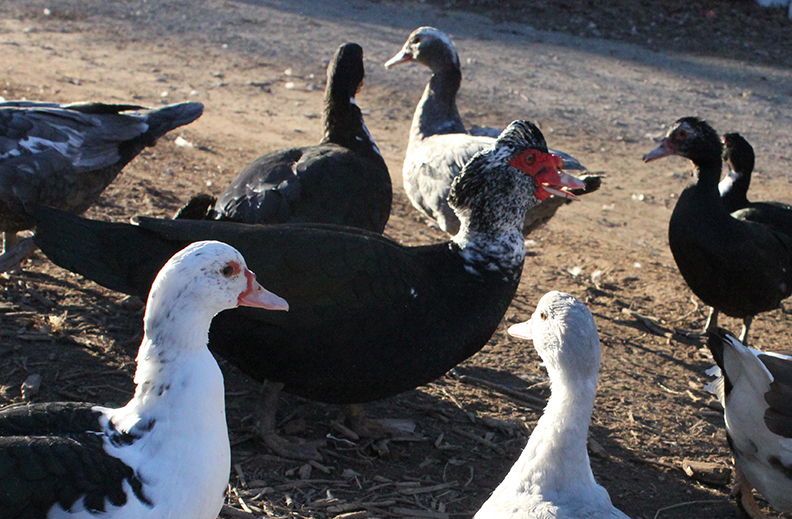 They also make little noise compared to other ducks. Thanks! I do think they are fairly quiet. 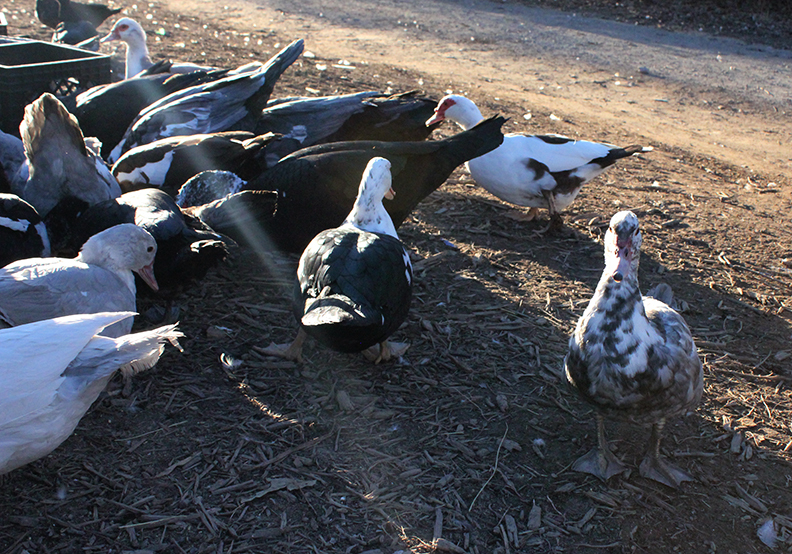 I've wondered if we could just get by with ducks rather than include guinea hens in the mix, which are so much louder. We have quite a bit of deer and seed ticks on our land. Nice! Have you eaten/harvested any of them yet? I have had duck, but we haven't eating any of our own yet. We will have to this spring though, because we have too many males and they're starting to spar. You have collected your daily Power Up! This post received an upvote worth of 0.38$. Great Story - Great Pics. I love that there's a duck staring right at you in the fourth picture, then he gives a profile shot in the fifth. I think he was posing for you. Maybe! They are funny creatures with some personality. I really enjoyed your photos and story! This is how my turkeys were when I had them. They would follow me around and they were great looking animals. 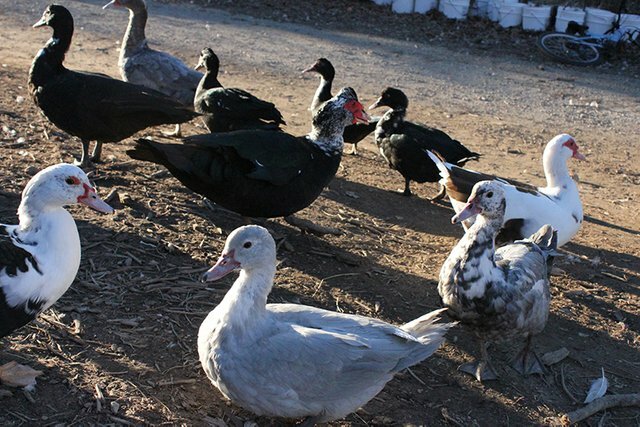 We raised the heritage breeds and they too came in many colors, like your ducks. Overall, I think you did a very good job! Thank you I've considered Heritage Turkeys as well. Do you recommend raising them for profit? I think we have enough kinds of meat sources walking around on our farm. 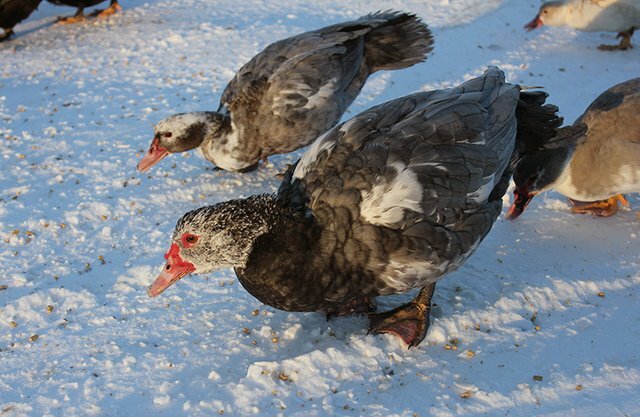 When I got out of them several years ago, it was because it seemed like the adults were eating a lot and I was turning the eggs by hand in an old incubator. At that time, I was selling them for about $5 for a two week old chick and it was not worth it to me profit wise. These last few years, I have been seeing farm stores selling them for $15 a piece and I have thought about getting back into them, but I would have to run some numbers first. Sorry, I am not sure if this helps.